Raw shrimp cooks in just three to five minutes, but when you need to get a healthy meal on the table before your kids head out the door for their evening activities, even those few minutes can put you in a bind. Keep precooked frozen shrimp on hand so you can get a healthy protein source on the table quickly. 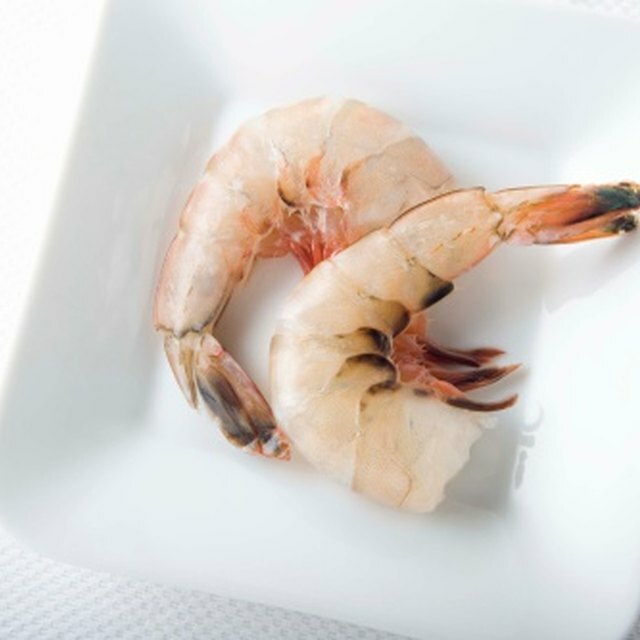 Though the U.S. Food and Drug Administration recommends you thaw seafood in the refrigerator overnight, you can choose from several other safe thawing methods when you need the shrimp the same day. Place the amount of shrimp you need in a resealable plastic bag and seal the bag. Fill a bowl with enough cold water to cover the bag of shrimp. Place the bag in the bowl and set the bowl in the refrigerator. Leave the bowl in the refrigerator for one to two hours per pound of shrimp. Seal the desired amount of shrimp in a resealable plastic bag and place the bag in a colander. Set the colander in the sink and run cold water over the bag until the shrimp is thawed, which should take about five minutes. Place the shrimp on a plate or bowl and cover loosely with plastic wrap or a paper towel. Microwave on the defrost setting just until the shrimp is pliable; it should remain slightly frozen and icy. Finish heating the shrimp immediately using your preferred cooking method. Boil a pot of water large enough to easily hold the amount of shrimp you need to thaw. Drop the shrimp into the water once it comes to a boil and boil for one minute. Remove the shrimp from the water and pat dry with paper towels before adding them to your dish.